Leading Malaysian single-seater racer, Jazeman Jaafar, will be racing with Fortec Motorsports in Formula Renault 3.5 Series this coming season. The 21-year-old driver returns for his third season of racing in the World Series by Renault headline championship. 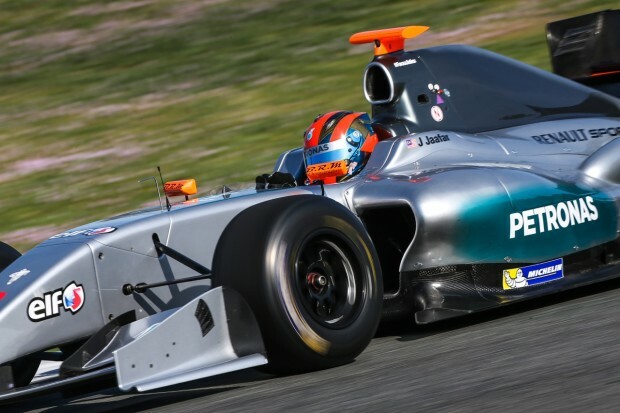 Jazeman raced with ISR Racing in 2014 and moves to Fortec to race alongside Oliver Rowland. A British based race team, Fortec Motorsports, has competed in the Series for the past seven years, winning the championship with Robin Frijns three years ago. Owned by ex-racing driver and businessman Richard Dutton, this highly successful team will field drivers in six championships this season. The PETRONAS Talent Programme driver says of confirming his deal to race with Fortec, “I’m very excited about the prospect of racing with Fortec this year in FR3.5. It’s taken a while to pull everything together, but I’m really pleased to be making this announcement. Now I can focus on the season ahead and ensure I’m as prepared as I can be for the first race”. Jazeman scored two podiums in the FR3.5 Series last season, one in Spa and one in Monaco. He also tested the MERCEDES AMG PETRONAS 2012 F1 car and raced in the Spa 24 Hours where he finished fifth, his first experience of sportscar racing and a 24 hour race. The young Malaysian heads to Jerez today to start his 2015 FR3.5 Series campaign with Fortec Motorsports, taking part in the first pre-season test of the year.